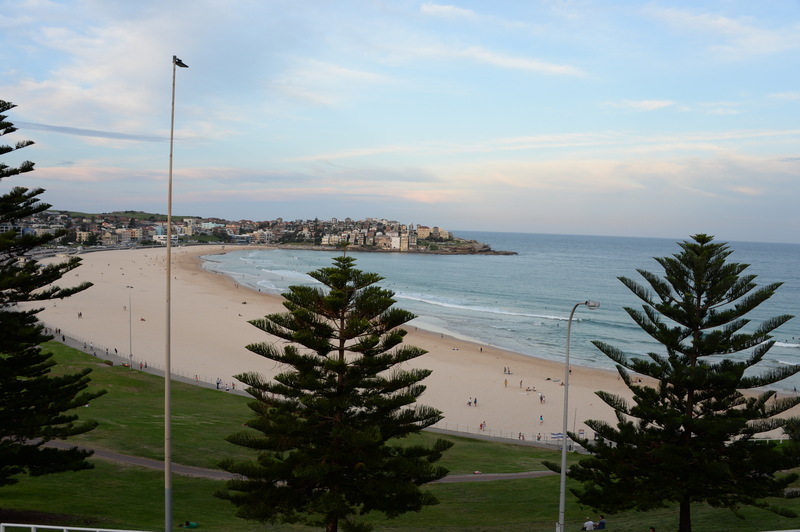 Bondi Beach is not only one of Australia’s most famous beaches, but it’s up there amongst the world’s best. A trip to Bondi is usually top of the list of “must see” sights for visitors to Sydney and it’s often the first experience visitors have of our beach culture. Bondi’s fame has led to a surge in visitor numbers wanting to spend not just a day surfing at the beach, but staying overnight, a week or even longer while they enjoy all that Bondi has to offer. To cater for the demand in high quality accommodation, Bondi38 serviced apartments have recently opened their doors, directly opposite the famous beach. Bondi38 offers a combination of one and two bedroom apartments which provide for the ultimate stay at the iconic Bondi Beach. Their stylish design is sure to impress those who look for a touch of glamour. Set within the 1930’s Classical Revival Style Building ‘Cairo Mansion’ at 38 Campbell Parade, Bondi Beach, the apartments’ luxurious contemporary interiors reflect the relaxed beach lifestyle that has made Bondi world famous. 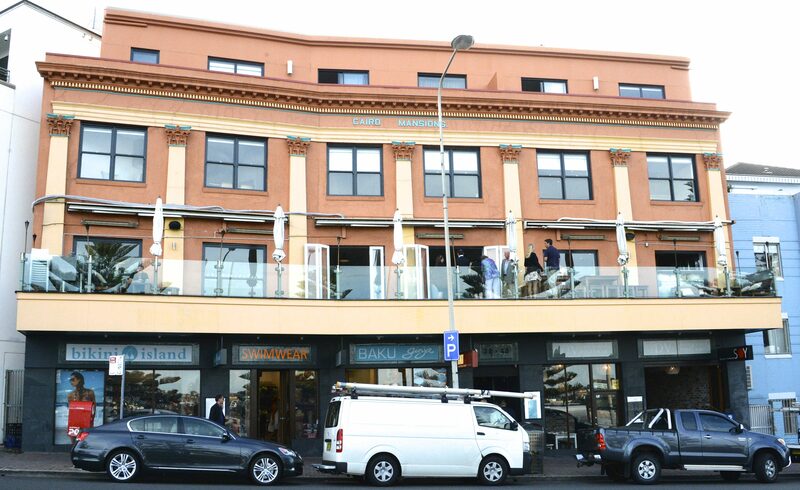 Located within the trendy Bondi Beach precinct and only metres from the beach, the building incorporates well-known shops and eateries including Bikini Island, Bondi Social and Soy Café as well as being surrounded by many restaurants offering every type of cuisine. Added to the mix are numerous coffee shops and trendy bars. The famous Bondi Icebergs pool, club and restaurant are only minutes away. All two bedroom apartments have views of Bondi Beach and can comfortably accommodate up to six people and as an extra bonus, the two penthouse units also have balconies. With a combination of queen and king beds and an additional sofa bed, these apartments are perfect for couples or families. The one bedroom apartments are each furnished with queen beds and sofa lounges that comfortably accommodate up to four people. Each unit incorporates artwork by award-winning artist and past Sculpture-by-the-Sea winner, Ian Swift, who was commissioned to create relief style paintings depicting the Bondi Beach lifestyle. Complete with key-less entry, free WiFi and Foxtel, all apartments are equipped with the modern conveniences necessary for a comfortable nights stay, having a lounge and dining room, kitchen with quality appliances, bathroom and personal laundry facilities. The area is well-serviced by taxis and public transport, with a bus stop at the door. Buses from Bondi Beach link with the Sydney train network at near-by Bondi Junction. Offsite parking is currently available on surrounding streets and in Bondi Pavilion. 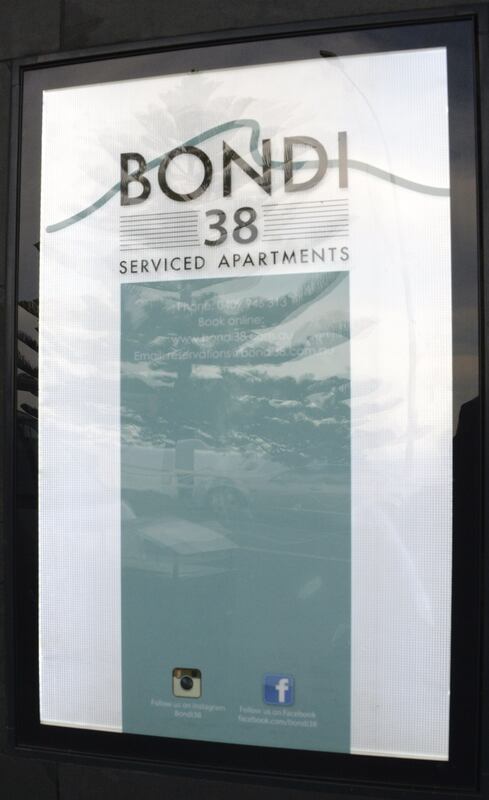 Bondi38 apartments are a home away from home, perfect for a romantic getaway, holiday or business trip. This entry was posted on Tuesday, April 22nd, 2014 at 9:46 am and is filed under Uncategorized. You can follow any responses to this entry through the RSS 2.0 feed. You can leave a response, or trackback from your own site.